A well presented one double bedroom end terraced bungalow; set within this extremely popular and established development. 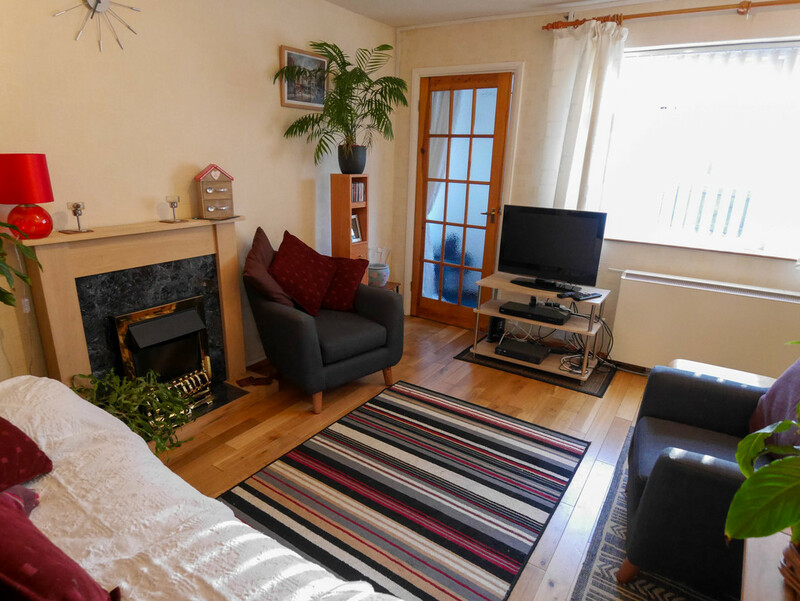 In brief the double glazed accommodation has electric heating and comprises reception hallway with cloaks cupboard, lounge, dining kitchen, inner hallway, double bedroom and shower room. To the outside there are manageable gardens front and rear as well as a garage in a nearby block. The property comes to the market with the added incentive of having ‘no upward chain’ thus helping to simplify the whole buying process. The bungalow is also located close to excellent road and rail links and has a wide variety of amenities close by. 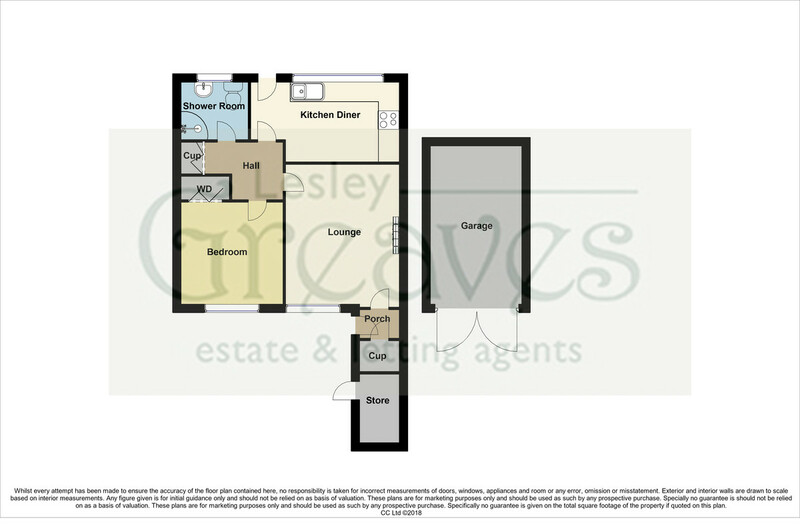 Taking all of these factors into consideration we would strongly recommend an internal viewing in order to fully appreciate all this bungalow has to offer. RECEPTION HALLWAY uPVC double glazed entrance door with inset coloured leaded glazing, storage cupboard and door to the lounge. LOUNGE 13′ 0″ x 10′ 6″ (3.97m x 3.21m) uPVC double glazed window, feature fireplace and hearth with inset electric fire, storage heater and wooden floor. INNER HALLWAY Airing cupboard housing the lagged hot water cylinder and storage heater. KITCHEN Fitted with a range of wall and base cupboards with work surfaces over, double stainless steel sink unit and drainer, tiled splashbacks, space for a free standing cooker, plumbing for a washing machine, storage heater and uPVC double glazed window and door to the rear garden. BEDROOM 9′ 6″ x 9′ 6″ (2.92m x 2.92m) uPVC double glazed window to the front, wooden floor, storage heater and built in wardrobes. SHOWER ROOM Fitted with a modern white suite comprising low flush WC, pedestal wash basin and corner shower cubicle, part tiled walls, heated towel rail and opaque uPVC double glazed window. OUTSIDE To front is a low maintenance courtyard style garden with gated pedestrian access and a useful walk in store with power. To the rear is a private garden which is again low maintenance with gated pedestrian access. There is also a garage located in a nearby block.